Here is some advice from PSIA Demo & Education Team Members. * Big thanks to the Cross Country Ski Areas Association for allowing us to reproduce this information here! 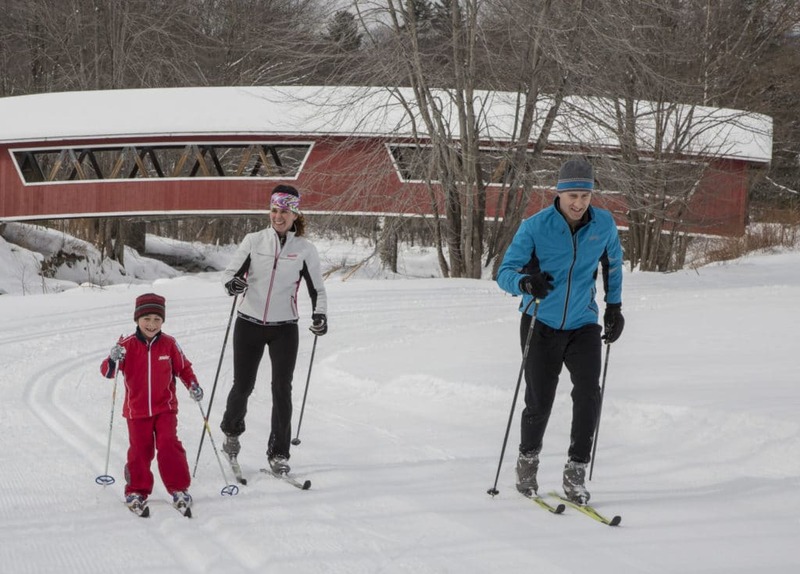 “The general consensus is for parents to put kids on skis as soon as they can walk, keep it fun and play ski games. We all know as soon as they can walk, kids can shuffle on skis. According to [a CCSAA] survey, the earliest age to offer structured lessons for children is 5 or 6 years of age. Nordic centers may … offer programs that have supervision for kids playing games on skis —no instruction. Mickey Stone a PSIA certified Instructor and member of PSIA Demo/Education Team who has 30 years of skiing experience, recommends starting kids skiing at any age they are comfortable in the outdoor winter environment. Kids need to enjoy the environment first. Start children sliding and rolling in the outdoors. Then put them on Nordic skis first. This way they will learn balance with their body instead of relying on equipment and big boots. So when to put kids on skis? This is usually 3 years old, although it depends on the child. Age five is recommended to start with a lesson that has structure. Deb (Ackerman)Willets, a PSIA certified instructor and member of the PSIA Demo/Education Team recommends kids start xc skiing before alpine skiing because xc skiing is so close to walking. Deb says it’s a waste of time to put kids in all of the alpine equipment at ages 3 and 4. Her children were on XC skis the first winter after they could walk. When they are young, taking them out in a pulk or backpack and bringing along their skis, works great. Take children skiing in good weather with no particular time frame or structure. At age 6 and older is a good time to start structured lessons. This entry was posted in SKIING TIPS. Bookmark the permalink.